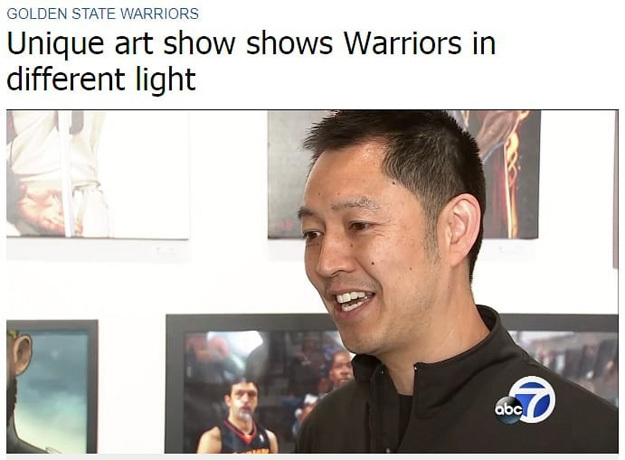 Big thanks to @abc7newsbayarea for the story and @solespace1 for hosting! If you’re local and you love the Dubs, you need to check out the artwork – on display thru the playoffs! Pieces and prints are available for purchase!